Marinara is as simple as it gets, but our version makes even a weeknight dinner especially delicious! 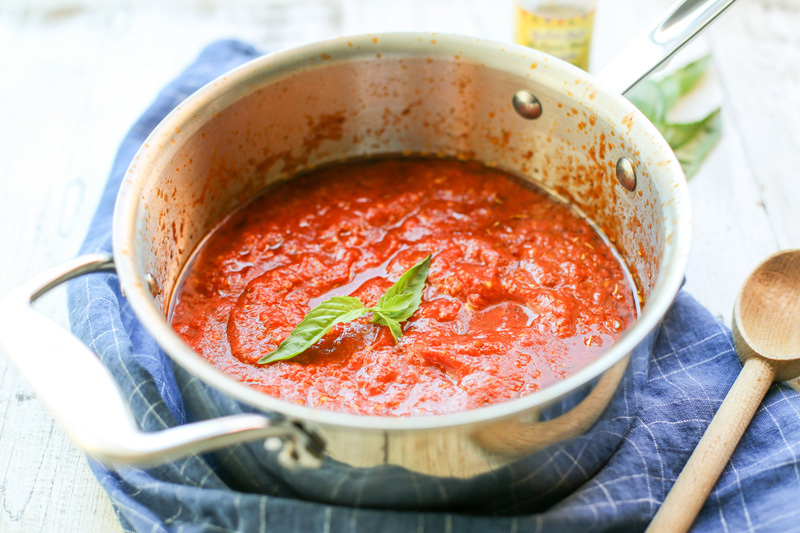 We start with the best quality canned tomatoes, then simmer them with Garlic Gold® Oil and Italian Herb Nuggets. We’ve always got these ingredients in the pantry, so delicious, homemade pasta sauce is never more than 20 minutes away! Serve this versatile sauce over spaghetti and meatballs, ladled onto polenta, or layered into lasagna. You can even use it to top spaghetti squash or zucchini noodles for a low-carb meal. It’s great on just about everything! Pour the canned tomatoes and their liquid into a bowl. Use your hands to crush the tomatoes. 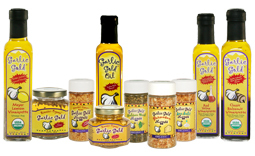 In a medium (2 to 3-quart) saucepan, heat the Garlic Gold® Oil over medium heat. Add the tomatoes, Italian Nuggets, red pepper flakes, and salt. Stir and bring up to a simmer. Let the sauce simmer for about 15 minutes, until it has thickened slightly. Remove from the heat.